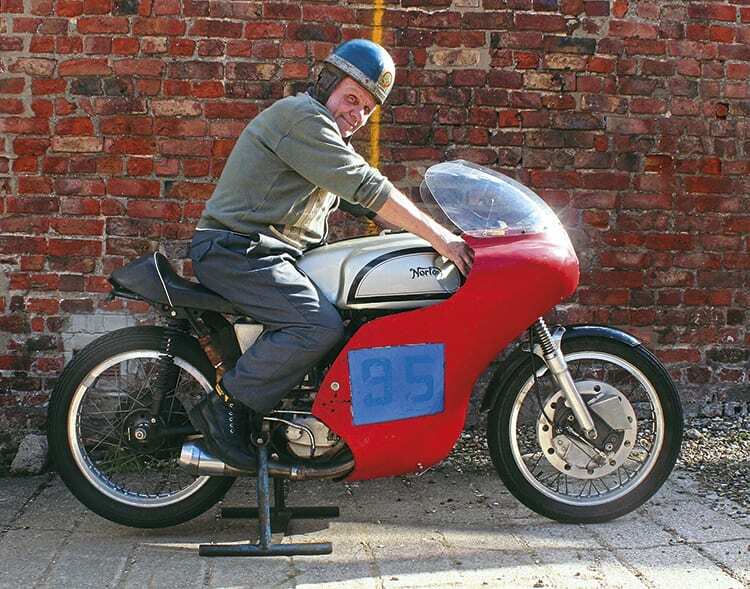 Bernard ‘Ben’ Noble on his Manx Norton, which will now be displayed in the Isle of Man, the place where it raced, by Ben, for year after year.Dee, Atkinson & Harrison had another successful Classic Car and Motorcycle auction at Sledmere House, East Yorkshire, on November 4. The venue was packed with potential bidders and people coming to see how the sale went; the cafe reported record sales of their excellent bacon rolls! The undoubted highlight was ex-racer from Driffield, Ben Noble’s 1960 350cc Manx Norton. This had everything going for it to be sold by auction. A great race history from 1960 until it was laid up in 1996; it was unrestored; it came with a huge history file of all of Ben’s races; his race leathers, helmets… and Ben was there! Eventually the estimate of £15,000/20,000 was left behind, as multiple bidders took the price to £31,360. Former Formula 3 TT world champion John Kidson was there on behalf of the British Motorcycle Charitable Trust to buy it for the Isle of Man museum, so it can now be displayed for all to see. Other pleasing results were a non-matching numbers 1960 BSA Gold Star 500cc that made £16,800, a 1987 Honda RC30 at £18,480, 1930 Ariel Model LF OHV at £4480, an unrestored 1953 BSA A7 at £3920 and stars of the unrestored scene, barn finds, a 1939 BSA B21 at £5380 and a 1936 BSA W6 at £3470. All prices are inclusive of the 10% buyer’s premium plus VAT. The next auction is on March 3.